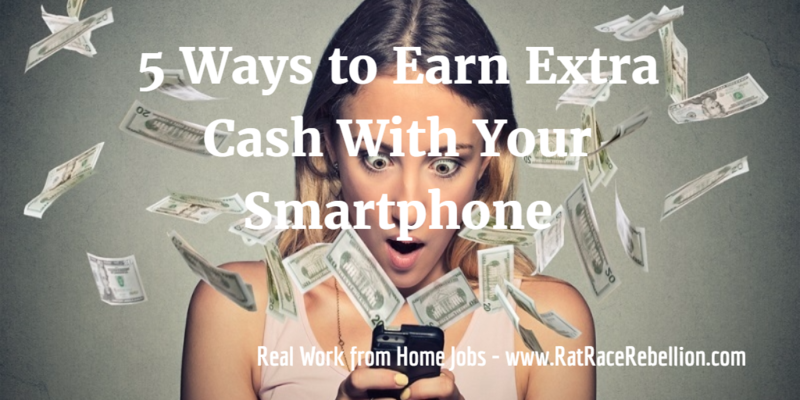 New ways to earn extra income with your phone are popping up all the time. Since smartphones don’t come cheap, it’s only fair that they produce some income for you, too! Here are five ways to make that happen. 2. You can earn cash with Jingit by checking in at your favorite stores, or watching vids or taking surveys. You can also get cash back for purchases. For iOS or Android. 3. InboxDollars pays cash rather than points, with a $5 signup bonus, for users to play online games, take surveys, surf the web, etc. They’ve paid out over $43M so far. For iOS or Android. 4. Got an eye for photos? Take them with your phone and sell them easily (if they’re good, of course) via Foap. You set the price. 5. Field Agent has been around since 2009. It pays you to do things like check prices in stores, take pix of products in stores, fill out surveys, etc. Jobs usually pay $3-$12 each, the company says. You’ll get more jobs if you live near a big metro area, less if you’re in the outback. This entry was posted in Earn Extra Cash and tagged Field Agent, Foap, InboxDollars, Jingit, Slidejoy. Bookmark the permalink.